In this chapter, I want to offer an account of truth that challenges most of the habitual ways of talking about it, both in Western philosophy and in wider Western discussion. It is essential to get this groundwork clear before moving onto discussion of ethics, politics, or any other more immediately practical topics, because it is our assumptions about truth that shape our understanding of all other topics. Since ancient times, both in Greek and Indian traditions of thought, thinkers known as sceptics have been pointing out the hollowness of all our pretensions to know the truth about anything. Very often these thinkers have been perceived as destructive and negative in intention, or dismissed as impractical. Even when they have been recognised as valuably stimulating further thought by questioning accepted dogmas, the full value of what they offer has often not been recognised because it was regarded as peripheral. However, the recognition of our lack of direct access to truth is exactly where philosophy needs to begin, for ultimately practical reasons. As finite beings occupying a limited point in space, the information that we have access to is always necessarily limited. Given our limited mental capacities, it is unlikely that the concepts we form are capable of accurate representation of reality. Our senses are limited in what they can detect (for example, we only see objects that reflect light between certain wavelengths), so we cannot gain true perceptions of objects through the senses, since we might be missing crucial features. Given evidence and arguments for one belief, alternative evidence and arguments that appear to support opposing beliefs can always be found. Our conceptual frameworks for understanding the world are limited by our cultural and linguistic background. No conclusive proof can be offered that one’s current experience (or any given past experience) is not illusory. You may be dreaming at this moment. Given how often we have made mistakes in the past and had to alter our beliefs, it seems likely that we will make more mistakes and have to alter them again. At least some of our current beliefs thus seem likely to be mistaken, and we do not know in advance which ones. Such arguments do not prove any given belief to be false, but they crucially challenge all claims to certainty. There is nothing intrinsically negative about such arguments, for such arguments work just as effectively against negative assertions as against positive ones. If I take these sceptical arguments seriously, for example, I cannot claim to know the truth either about God’s existence or about his non-existence, for the statement ‘God does not exist’ can be just as easily subjected to these different kinds of sceptical doubt as the claim that he does. Similarly, the claim that there is not a table in front of me is just as much subject to sceptical doubt as the claim that there is. Nor is it ‘negative’ merely to challenge any given belief, for such challenges are essential for the improvement of beliefs. Sceptical arguments do not (as is often assumed) imply that we should give up all beliefs, only that we cannot be certain that our beliefs are true. If we believe our beliefs are true we must be deluded, and scepticism thus helps us get closer to the truth by uncovering deluded versions of it. Sceptical arguments have only ever been challenged either by dogmatically asserting a supposedly unassailable, foundational truth (such as my own existence, or God’s existence), or by changing the meaning of the term ‘certainty’ to fit everyday usage. Descartes provides an example of the former approach by building his philosophy on the foundational certainty of his own existence. However, he could only ‘prove’ his own existence as certain by assuming that his self-conscious experience at a given moment was conclusive evidence for a permanent and unchanging self – a massive over-interpretation of limited evidence. G.E. Moore can provide an example of the other kind of challenge. He asserted that he was certain of the existence of his hand because of the lack of positive counter-evidence (I have no reason to disbelieve in my hand’s existence). This is a moving of the goalposts towards a more everyday sense of certainty, but no proof of absolute certainty that he had a hand. Our lack of absolute certainty requires recognition too constantly to allow any distraction from the sceptics’ central points. Contrary to the assumptions of many philosophers, our lack of absolute certainty is of great practical importance. If we are to bear in mind the real possibility of being wrong, even when there is no immediate evidence available to us that we might be, or nobody present casting doubt on our ideas, then the possibility of being wrong needs to be at the very basis of our philosophical attitudes. History is littered with examples of false certainty, from the Crusades, the Spanish Inquisition, Marxism, and Fascism to the long-held certainty (challenged by environmental circumstances more recently) that the planet has inexhaustible resources meant for our use and an infinite capacity to absorb the effects of our activities. It is only the recognition that we might be wrong that can potentially restrain the hand inspired by false certainty in the future. We do not have direct access to the truth, and what we often take to be ‘truth’ is merely belief certified by the group in which we live, or belief for which there is some positive justification. It is all too easy to acknowledge intellectually that we have no such direct access to truth, but then perhaps five years later, in the press of whatever expectations society imposes on us, to once again, let this point slip and start thinking of our beliefs as ‘true’. Alternatively we might start using the concept of truth, perhaps with a few theoretical hedges, as the basis of judgement: a unjustified move given our lack of access to truth. We cannot afford to leave the sceptics on the edge of the discussion: their contribution needs to be a starting point, constantly borne in mind. There is no practical alternative, if we want to operate with a consistently adequate degree of intellectual humility, to the complete abandonment of claims to truth, whether negative or positive, or of any other kind of appeal to truth. Quite simply, we are not God, and we do not have access to the infinite knowledge that God, if he exists, would have. Thus we are not justified in appealing to truth. Nevertheless, this does not mean that we cannot use the concept of truth meaningfully, or that we cannot apply justification, short of claiming truth, to our judgements. Truth has not disappeared below the horizon, but it is on the edge of that horizon, in a position where we can talk meaningfully of it in a rather abstract way, but not grasp it or rely on knowledge of it. We need to constantly adapt to the full implications of truth being on the edge. I will return below to the argument that justification does not depend on truth, but more immediately, next, to the question of the meaningfulness of the idea of truth. See G.E. Moore ‘Proof of an external world’ from G.E.Moore: Selected Writings ed. T. Baldwin, Routledge 1993. Some philosophers also consider the assumptions of scepticism to have been undermined by Wittgenstein’s private language argument. For a refutation of Wittgenstein’s argument please see A theory of moral objectivity 4.e.iii: Wittgenstein relies on dogmatic assertions of what is “meaningful” or “meaningless”. Scepticism in any case does not require the solipsistic assumption of an isolated self that Wittgenstein wants to attack, only a recognition of the lack of ultimate justification for our assumptions, howsoever formed. Justification is incremental (one can have relatively more or less of it), whereas truth cannot be. Strictly speaking, the coherentist component of justification is incremental, as a belief can be more or less coherent with other beliefs, but beliefs can also be decisively rejected (not just seen as weak) using the negative foundationalism criterion. This means that beliefs that pass the initial hurdle of being compatible in principle with human ignorance are then incrementally justifiable in proportion to the evidence and the coherence of the beliefs required to interpret that evidence. Justification is provisional, whereas truth cannot be. If an appeal to truth is made, that appeal must be final, and if that appeal proves grossly incompatible with experience, then confidence in the whole structure is diminished. To cite a justification for placing a degree of confidence in a theory, however, is to leave open the possibility of new considerations arising and that belief being revised. The distinction between appealing to a truth and appealing to a justification is a psychological one, as the psychological requirements for a judgement to be made are different ones. I will be investigating this point more fully in chapter 3. The avoidance of truth-claims signals the death of metaphysics, provided that metaphysics consists in such truth claims. However, it implies the avoidance not just of positive metaphysical claims but also negative ones that directly deny metaphysical claims. This will be considered in the next chapter. The avoidance of appeals to truth also means the avoidance of claims to ‘knowledge’. 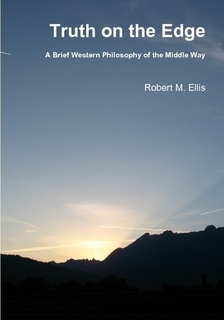 Knowledge is traditionally defined in Western philosophy as justified true belief (a definition that I see no particular reason to question), but even if the appeal to truth here is purely hypothetical and does not involve actual claims to know true propositions (see earlier discussion this chapter), appeals to knowledge are ruled out by the avoidance of truth-claims. The shift to justification over truth implies the abandonment of the fact-value distinction often taken for granted by analytic philosophers. If neither facts nor values can be taken to be true, but either can be taken to be justified, both facts and values are placed within the same kind of assessment and neither can be fundamentally privileged over the other. Finally, the move from truth to justification implies a need to reconsider the whole question of objectivity. If objectivity is not gained through a foundational appeal to the truth, then it must be gained through justification. However, as we can only gain a degree of justification, objectivity must be seen as an incremental quality rather than a way of appealing to a truth out there.